The Harvest Planter is sure to bring old-world charm and distinction to any setting. 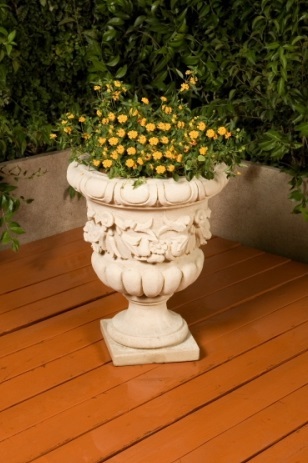 The fine detail of fruits and flowers enhances the traditional shape of the Harvest Planter. L 22" W 22" H 27" | 160 lbs.